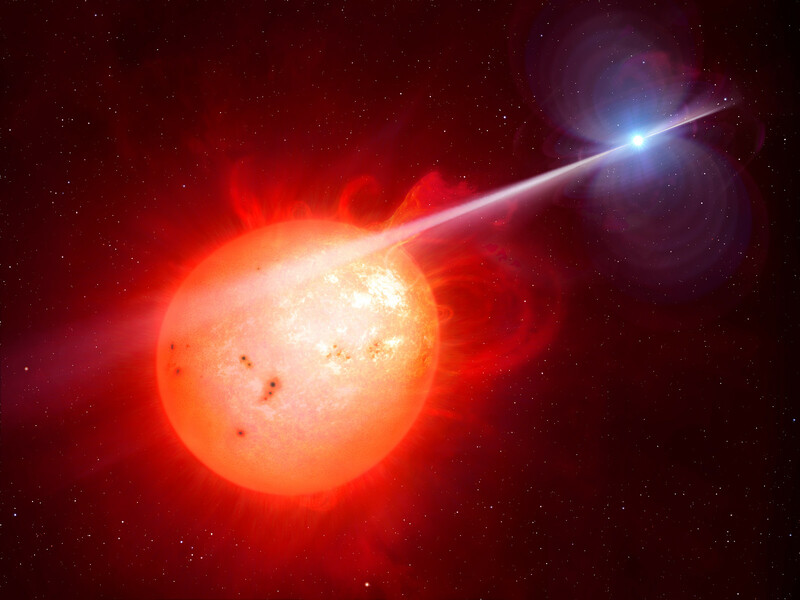 This artist’s impression shows the strange object AR Scorpii. In this unique double star a rapidly spinning white dwarf star (right) powers electrons up to almost the speed of light. 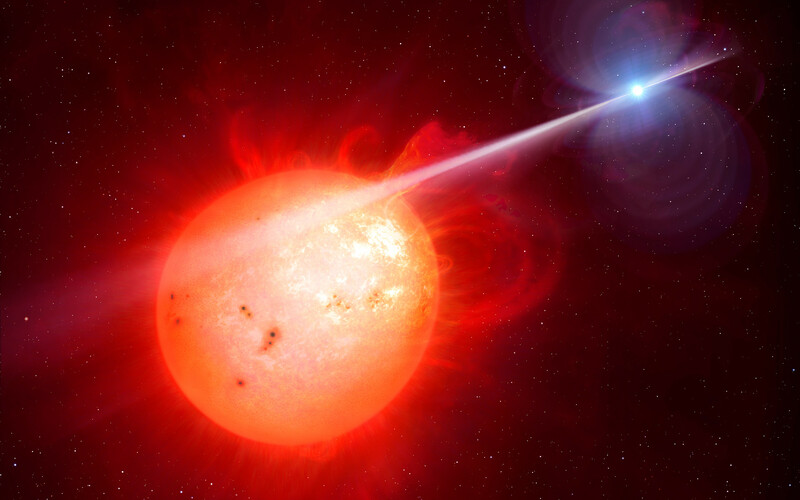 These high energy particles release blasts of radiation that lash the companion red dwarf star (left) and cause the entire system to pulse dramatically every 1.97 minutes with radiation ranging from the ultraviolet to radio.